The European Solidarity Center in Poland (above), the Polish Story of Human Rights booklet (top right) and locals with the booklet in Poland (bottom, right). Rock for Human Rights and United for Human Rights, with the Polish-American Society of Memphis, join forces to hold the “Memphis in Poland” concert. Poland has for centuries stood as a gateway between East and West, between communism and democracy, between state-sponsored oppression and freedom. Like so many European countries, Poland is struggling to find the balance between its national interests and respecting the rights and freedoms of all people regardless of language, ethnicity or religion. Widespread human rights education and awareness have never been more important. A new opportunity to revive the Polish concept of solidarity and human rights was found with the “Memphis in Poland” concert organized by the Polish-American Society of Memphis. They teamed up with Rock for Human Rights (R4HR) Founder and United for Human Rights (UHR) partner, Wil Seabrook, who was asked to participate in the music festival which took place in Sopot in northern Poland. Festival organizers aimed for the events to be educational, with an emphasis on human rights. Therefore, R4HR and UHR not only accepted the invitation but also translated The Story of Human Rights booklet into Polish, a first for the UHR materials. In just six days, they reached over 3,000 with the human rights message and generated daily national media in the country. A series of four concerts and human rights lectures were held in Gdansk and Sopot, Poland, by Wil Seabrook and the R4HR band. They brought human rights to the attention of a diverse public, distributed thousands of the newly translated booklets and showed the Youth for Human Rights International Public Service Announcements. In just six days, they reached over 3,000 with the human rights message and generated daily national media in the country. During the tour, collaborations with R4HR and UHR were initiated with the historic European Solidarity Center, Sopot Museum, the City of Sopot and the City of Bielsko-Biala. These key organizations and government bodies are looking to incorporate the UHR materials into their activities, thus opening the door for widespread dissemination of the UHR materials for the first time in Poland’s history. 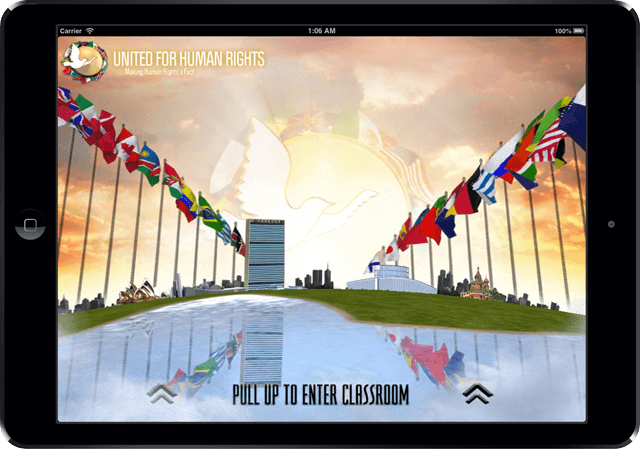 Join the international human rights movement by becoming a member of United for Human Rights. 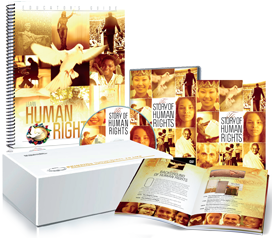 UHR assists individuals, educators, organizations and governmental bodies in all parts of the world to raise awareness of the Universal Declaration of Human Rights. United for Human Rights offers effective tools to bring human rights to life. Its printed materials and interactive online resource center are for use in community, institutional and government settings.